Are you tired of your smart phone getting hot always, have you abandoned that wonderful mobile phone because it is always overheating then take time to read this article. 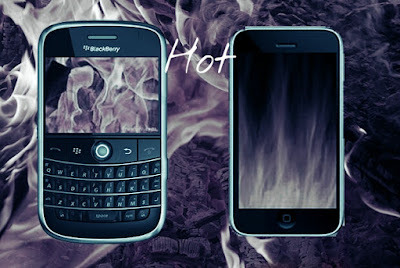 There are several causes of overheating on mobile device, which is mostly caused by multitasking. Running several apps simultaneously can cause heavy damage to the device especially the battery. When the Cpu overclocks its speed overheating of device may result and this process can damage your device processor permanently. Some of the factors that causes overheating of your mobile devices, tablets, and Android Devices are explained below in details with possible remedy to such cases. Multitasking is a very nice feature of Android, and so many other mobile devices but tends to slow down the mobile speed and also causes overheating when misused or overused. Multitasking is the major cause of overheating in Android device, this occurs when multiple apps runs simultaneously on the device. Take for instance Your mobile data is on, at the same time you are playing a game with more than one browser running at same time your music player is running on the background, plus WhatsApp and Facebook Apps also running without considering the CPU and Ram size of your device. These causes the device to overheat as a result of overload. Possible solution: always discard apps that you are not using to free the catche. Many of us are movie addicts, we are either watching movies or other videos. We always try to get the best quality movies to keep our self out of boredomness, some spend more than 5hours watching movies and other videos on their devices. The processor tends to overwork and this can cause overheating as a result of heavy streaming. This is another cause of overheating on mobile devices. Most people spend hours playing 3D and HD games both offline and online with mobile data or wifi switched on plus other apps running on the background, these tends to cause overheating of the android device. If you can't afford to miss online HD and 3D games, first force stop all background apps like WhatsApp, Facebook and others which have high battery and ram consumption. This can only reduce the rate of heat but can't completely stop overheating. Possible solution: download you 3D and HD games and don't play for so long, it is not a playstaion. Many people don't know about this but it can contribute to overheating of mobile devices. when your android device constantly overheat without you multitasking or playing online games, then change your battery. A bad battry can contribute greatly to overheating. possible solution: change your battery with origal one according to manufacturers specifications if found malfunctioning. Similar to running background apps, turning up brightness level may affect the battry life of your android device, causing it to work harder. Possible solution: turn down your brightness level to its minimum or purchase a glare screen to enable you use your phone even under the sun. Clear all misslenous or trash files, cookies and caches, these junk files are unfriendly and may harm your CPU and Ram which leads to overheating. The temperature of the enviroment can affect your android device in so many ways, like slow down processing speed, battery life, and most notably cause overheating. During the summer, the effect of direct sunlight to the phone can cause rise in temperature of the mobile device. Possible solution: use your hand fan or other forms of ventilaton to cool your device. Water can be harmful to your device, when you listen to music while taking bath, moisture from the body or rain can cause the mobile device to overheat. Possible solution: find the liquid damage indicator (LDI) sticker, to ensure that your device is not having liquid damage issues. Android devices are wounderful no doubt, running mutiple apps simultanously makes it awsome, but at the same time the ram gets filled up and cause the device to overheat. Possible solution: always clear your cache and discard apps you are not using. Some poeple are so adicted to their phone that they can't spend a minute off their phone. These is not a healthy practice because it causes overheating of the mobile device. Possible solution: give your phone a rest. These are few reasons we discovered that can cause overheating of android, and other mobile devices today. Thanks for reading this article, if found helpful please share with us through your coments.